This vase was produced (obviously!) for a customer's mother's 80th birthday. 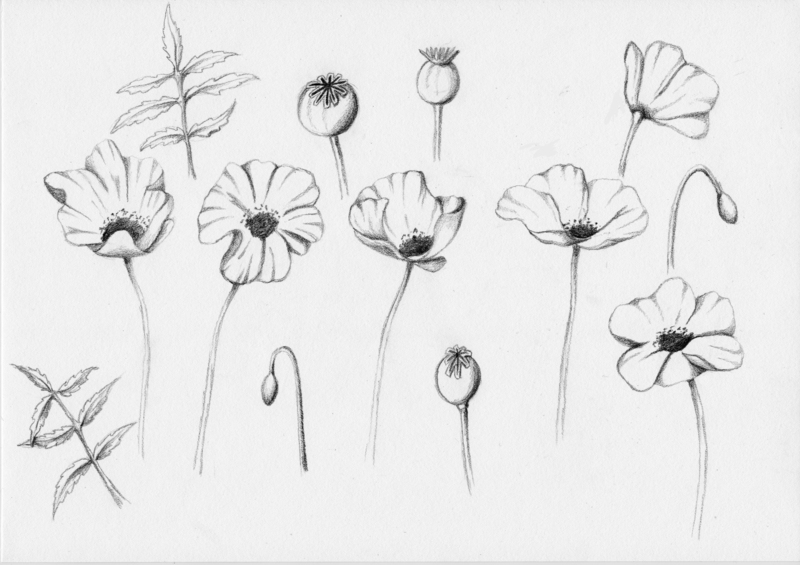 Their mother's favourite flower is the poppy so I began with the sketches that you can see on the left. 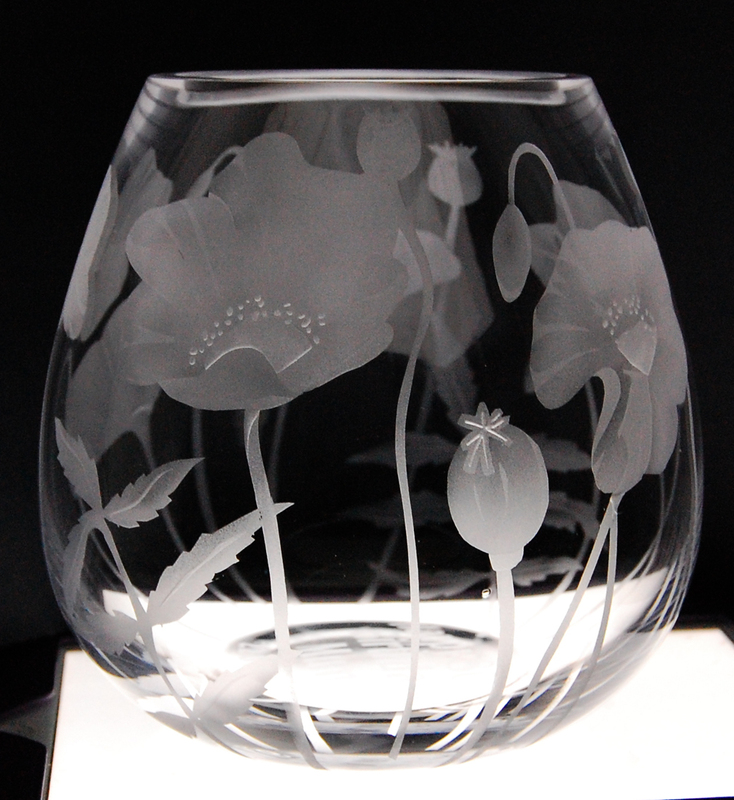 Once the customer was happy with those I worked out a design that would work well on the size and shape of vase that they wanted to use. 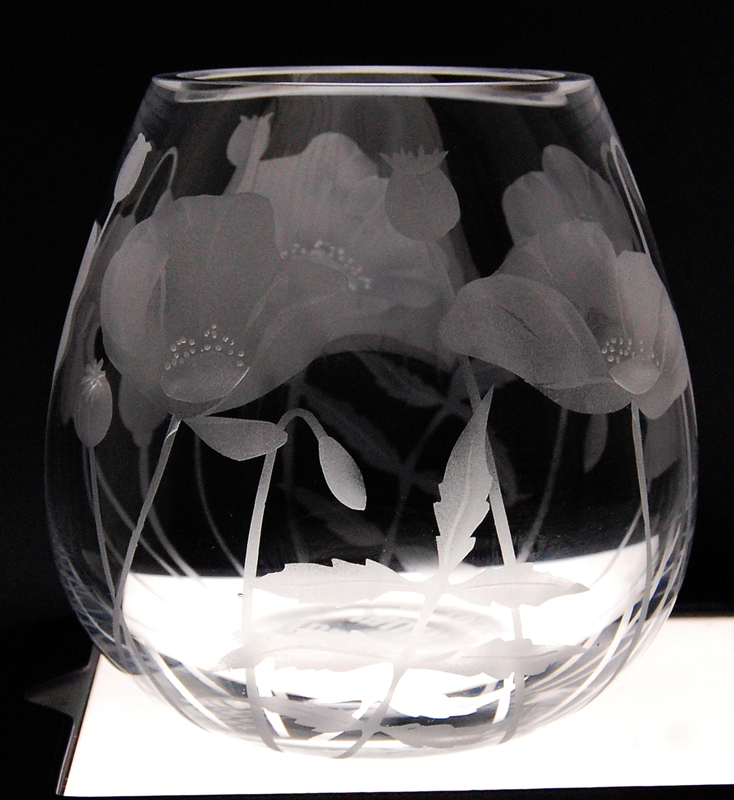 The curve of the vase makes it tricky to use machine cut vinyl so this design was handcut. By using different air pressures I can change the depth of the blasting to give the effect of shading. 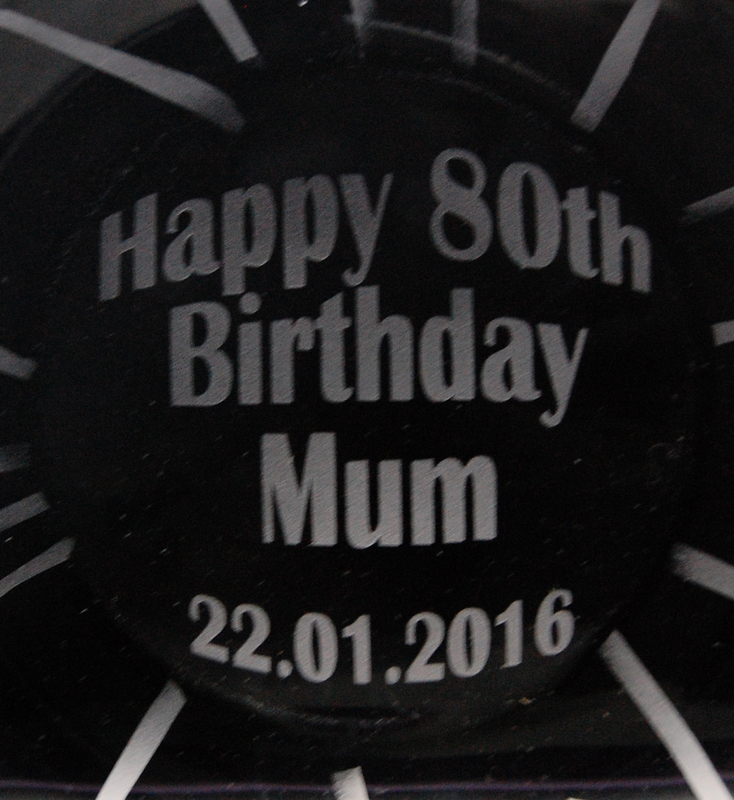 The message on the base, to be seen from the top of the vase, ensured the gift was even more personal. By all accounts the recipient was very happy with the finished vase!